Fort Lauderdale is known as the Venice of America because of the canals which weave in and out of neighborhoods, connecting the city with the waterways. These canals have also created lots of residential and commercial waterfront property. If you are looking for waterfront property in Ft. Lauderdale, then check with some of the real estate brokers that specialize in coastal properties, such as those listed below. Also check our Classified Ads section to view listings posted by private individuals for waterfront property for sale in Florida, as well as private docks for sale or rent. Marriott's BeachPlace Towers -- At SellMyTimeshareNow.com, we offer a wide selection of timeshare rentals and resales at this luxurious timeshare resort. Marriott's BeachPlace Towers offers self-catering waterfront accommodations and easy access to private docks for sale or rent, boat rentals and fishing/sailing charters. Fort Lauderdale is a boating and marine lover's dream, and we have a variety of cost-effective Marriott timeshares near Florida's beautiful Intracoastal Waterway and Atlantic waters, perfect for both one-time vacationers and return visitors. Visit us today to learn more about available timeshare resales at the BeachPlace Towers. Coldwell Banker Residential Real Estate, Inc., 909 East Las Olas Blvd., Fort Lauderdale, FL 33301 954-527-5900. Drum Realty, 1900 SE 15 St., Fort Lauderdale, FL 33316. 954-764-4242. 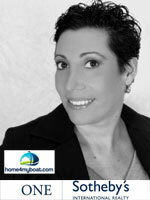 Ginger Hornaday, P.A., 1316 SW 17th St., Fort Lauderdale, FL 33315. 954-522-6684. Marine Realty, Inc., 1300 SE 2 St., Fort Lauderdale, FL 33301. 954-525-0348. R & S Realty Group, Inc., 104 SE 8 Ave., Fort Lauderdale, FL 33301. 954-763-3677. The Elmes Group, 910 SE 17 St., Fort Lauderdale, FL 33316. 954-713-2832. The post Waterfront Property For Sale Ft Lauderdale appeared first on Fort Lauderdale Boating & Yachting Life. The post Transporting Your Boat & Hauling Your Yacht appeared first on Fort Lauderdale Boating & Yachting Life. The post Florida – Sport Fishing Capital of the World appeared first on Fort Lauderdale Boating & Yachting Life. The post U.S.C.G. Captain’s License Class, Course and Training appeared first on Fort Lauderdale Boating & Yachting Life. The post Yacht & Boat Maintenance Is Super Important appeared first on Fort Lauderdale Boating & Yachting Life.